ConnectorCare plans have $0 or low monthly premiums, low out-of-pocket costs, and no deductibles. What kind of coverage do you get with ConnectorCare? ConnectorCare plans offer great coverage with important benefits like doctor visits, prescription medications, and emergency care. ConnectorCare plans have low monthly premiums, low co-pays, and no deductibles. There are different ConnectorCare Plan Types, which are based on your income. All of the plans offered for each Plan Type will have the same benefits and co-pays for covered services. You can see the co-pays for different services in the chart on the next page. 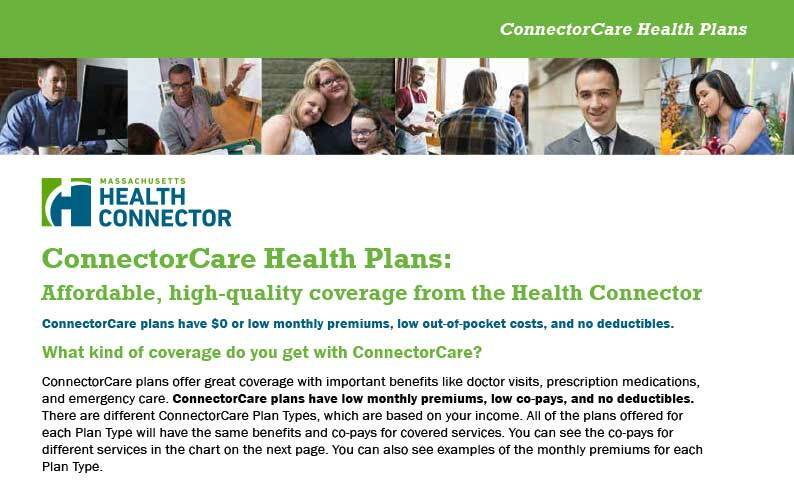 You can also see examples of the monthly premiums for each Plan Type. ConnectorCare plans are offered by some of the leading insurers in the state. Each insurer’s plan may have different doctors or hospitals in their provider networks. Before you enroll, use our online tools to see if see if the providers you want and the prescription drugs that you need are covered in the plan’s network. Each insurer’s plan may have different doctors or hospitals in their provider networks. Be sure to use our new Plan Comparison tool to see if your preferred providers, facilities, and prescription drugs are in a plan’s network before you enroll. What are ConnectorCare plans? Watch the video for a brief overview. 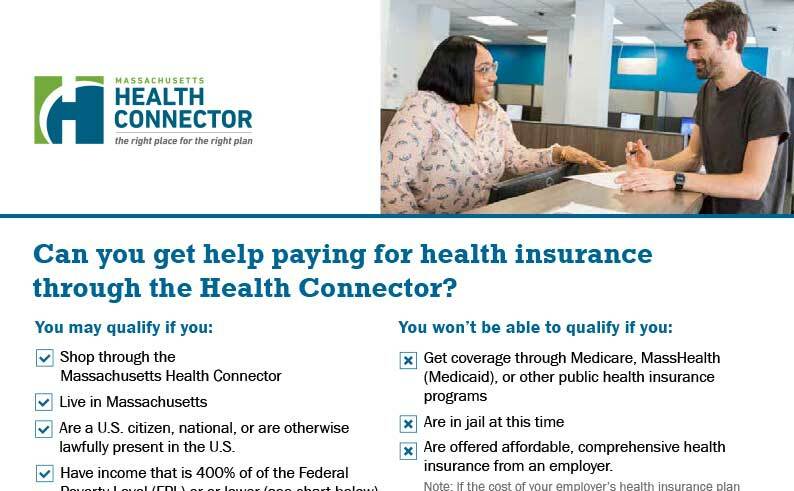 Who can qualify For a ConnectorCare plan? 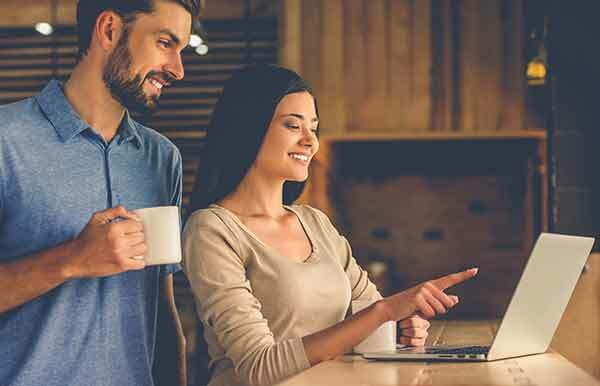 Which ConnectorCare plan can you qualify for? The cost of ConnectorCare plans differ depending on the health insurer and the Plan Type. The Plan Type you qualify for is based on your income. The chart on the right shows the FPL ranges for different ConnectorCare Plan Types. ConnectorCare plans offer great coverage with important benefits like doctor visits, prescription medications, and emergency care. Most people who apply are able to get help paying for their insurance. Download the guide to find out more about subsidies and who may qualify.